at the fact that no one knew anything about Japanese-style candles. help people understand the processing of making Japanese candles. 1) Put all the materials in one package. 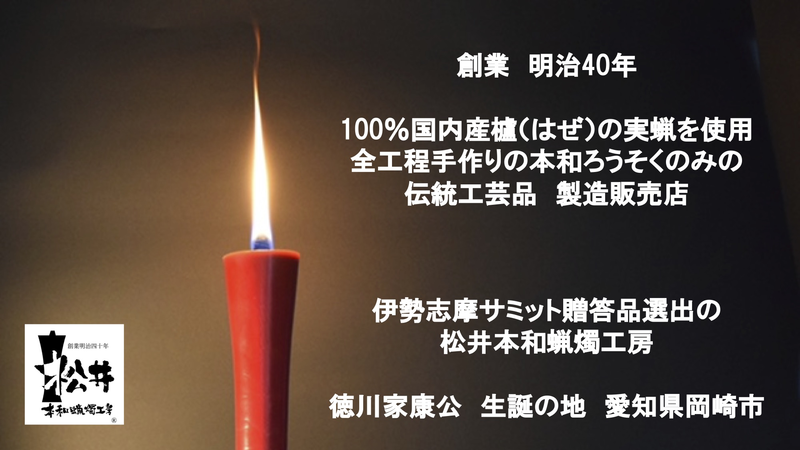 Japanese-style candle, so that people can be more familiar with it. style candle, so that it can be recognized from an ordinary candle. 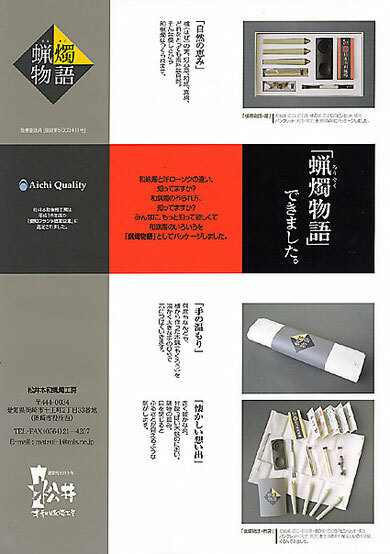 we named this article “Rousoku-monogatari” in Japanese. cloth with a contemporary symbol mark as the wrapping material. successful as the candles could be seen through the box. made from a traditional technique using the latest technology. candles if our project has helped in any way.